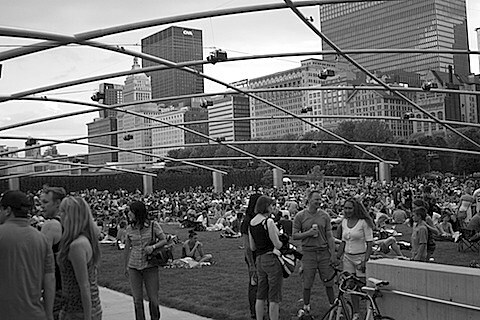 You’ve already seen the lineup for Millennium Park‘s 2014 Loops & Variations series (Thursday evenings from May 29 – June 3), and their Monday evening Downtown Sound series at the Jay Prizker Pavilion has now been announced. The lineup features Bob Mould on June 23 with Jason Narducy‘s Split Single, My Brightest Diamond on June 30 with White Mystery, Maps & Atlases on August 4 with Wooden Shjips, Russian Circles on August 11 with Colin Stetson, and a few other performances from June 2 – August 11. You can check out the full lineup at the bottom of this post. Each show begins at 6:30PM and is 100% FREE.